Last week I got an e-mail from Tyler Hinman, the five-time American Crossword Puzzle champion, who co-designed the crossword that was the basis of my Brian Wilson feature in the New York Times back in March. “This” referred to last Saturday’s acrostic puzzle in the Wall Street Journal. I had rediscovered crosswords as I reported the Times piece, with Hinman, Times crossword editor Will Shortz and others providing newfound inspiration. The Times’ Sunday crossword has since become an essential part of any given week. Acrostics, however, were new to me. Suffice it to say, it was tough. 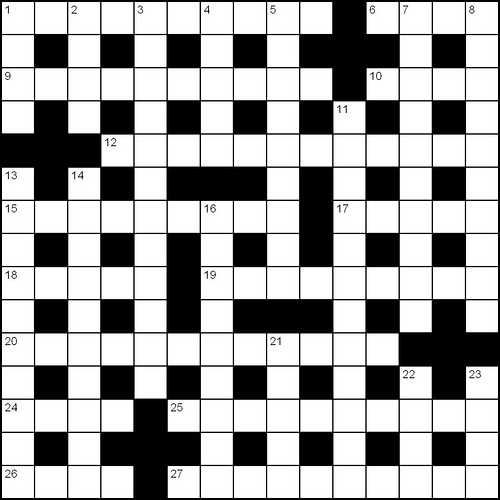 One fills in answers to clues, then correlates those answers to a crossword-like grid to spell out, in this instance, a quotation. It took me the better part of three days to get it all, but I finally decoded an interesting remark about inside pitching. Cool, I thought. This is why Tyler sent it to me. SPOILER ALERT. If you’re an acrostic devotee working through a backlog of Wall Street Journal back issues, continue reading at your own risk. Working my way down, my eyes got increasingly wider. T-U-R-B-O-W-T-H-E-B-A-S-E-B-A-L-L-C-O-D-E-S. I dashed off a note to acrostic editor Mike Shenk, asking how he came upon li’l old me as a subject. 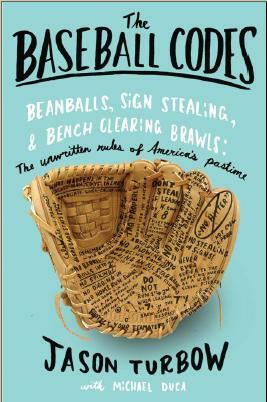 His response: “I thought it would be nice as the baseball season wound down to run a baseball quote in the acrostic, so I headed to the sports section of the bookstore looking for possibilities. There are a few constraints on the quotation itself. The author’s name and title must contain about 20 to 26 letters, the quotation must contain about 250 letters and spaces and must of course include all the letters of the author’s name and title. . . .
After having written an entire story about one man’s quest to become a crossword puzzle clue, I’ve now received a similar honor. And it might just be the best review I’ve received. In a crossword puzzle? Now that is a first. wow. What a knock out. oops, sorry that’s boxing, not baseball. Why does Nyjer Morgan and Tony La Russa seemingly always have something negative to say? One doesn’t think enough before he speaks, the other thinks too much.